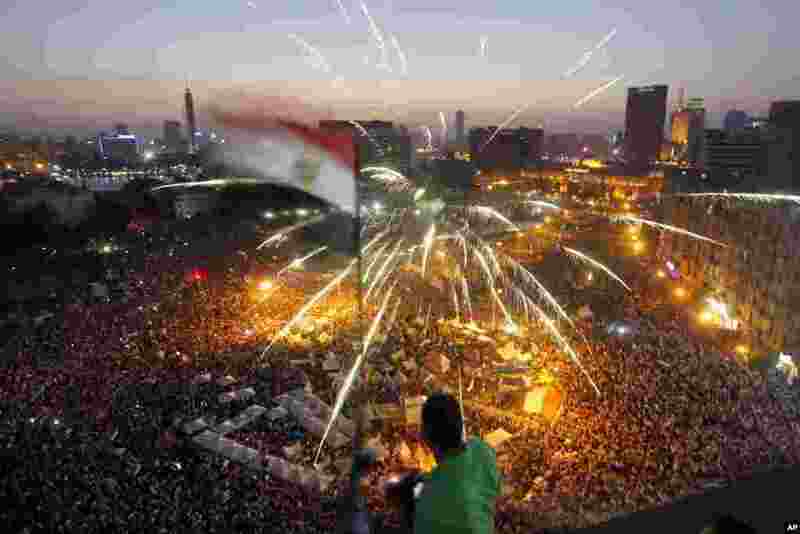 Egypt's Interior Ministry says three-million protesters turned out Sunday to demand the resignation of embattled President Mohamed Morsi. 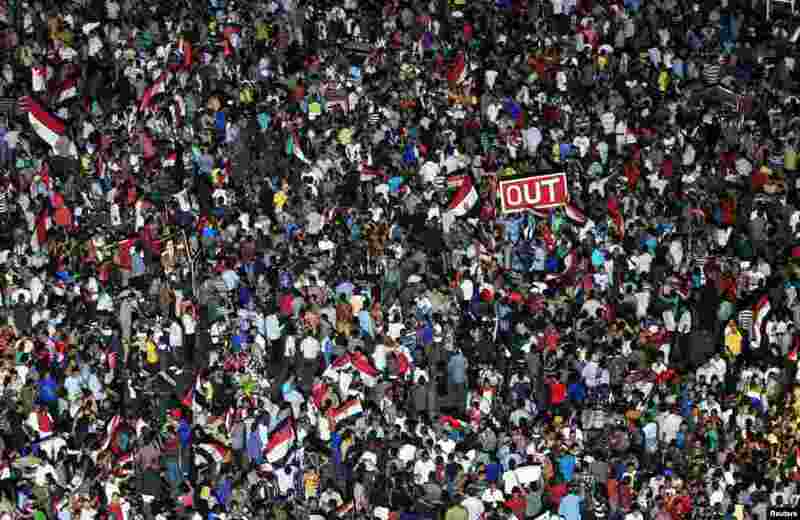 1 A protester waves a flag as Egyptians gather in Tahrir Square during a demonstration against President Mohamed Morsi in Cairo, June 30, 2013. 2 Protesters opposing Egyptian President Mohamed Morsi gather during a demonstration in Tahrir Square in Cairo, June 30, 2013. 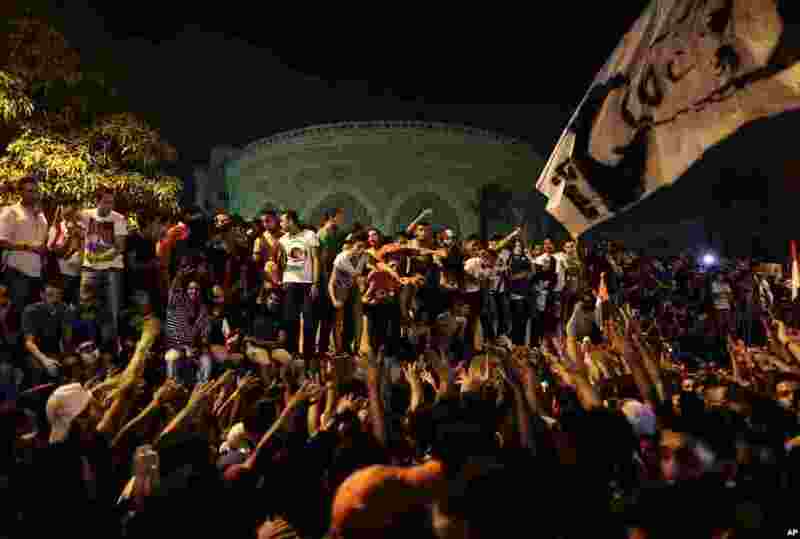 3 Opponents of Egypt's Islamist President Mohamed Morsi chant slogans during a protest outside the presidential palace, in Cairo, June 30, 2013. 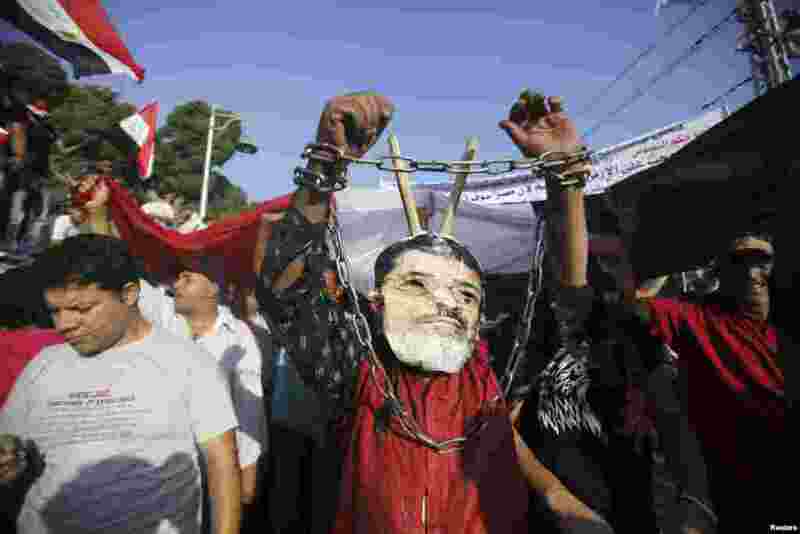 4 A protester opposing Egyptian President Mohamed Morsi wears a defaced poster of Morsi as a mask in front of the presidential palace in Cairo, June 30, 2013.